The Commission’s proposals in the south of the county are spot-on. The only change I’d make around Aylesbury is to swap the Bierton and Haddenham wards. Haddenham obviously has close ties with Aylesbury, but it also has close ties with the villages in the Long Crendon ward, and I’d keep them all together. When we get to Milton Keynes the message to the Commission is no, no, no. We need to give about 15,000 voters to Buckingham, but they shouldn’t be a random chunk from Bletchley. 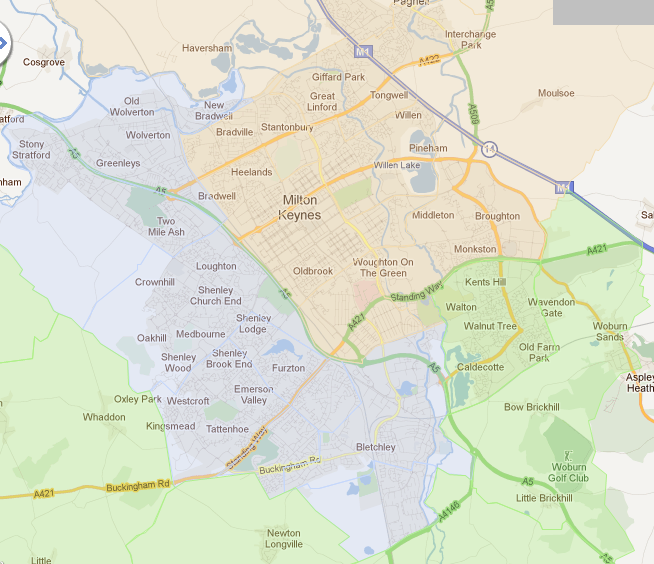 Walton/Wavendon is a much better, ready-made chunk (coloured green on the map). Then, with the large ward sizes in MK you’d be forgiven for splitting a ward to make two reasonable seats, but by some miracle you don’t have to – the border can fall nicely along the A5, with Stony Stratford/Wolverton/Shenley/Bletchley in the South seat (blue) and the “new city” in the North seat (beige). Click to give the Commission your views. I’ve commented elsewhere. I don’t understand your objection here to the Milton Keynes proposal. As parts of Milton Keynes’ sprawl goes, Bletchley is a relatively self-contained town which has an old established identity and good links to the existing Buckingham seat. What you describe as a ‘random chunk’ is actually the two wards which comprise the whole town – the Bletchley & Fenny Stratford parish is wholly contained within these two wards. The wards you are proposing to add instead have far weaker links and include a ‘random chunk’ of the New city totally removed from the area you would join it to. It seems obvious that as these two wards are very weak for Labour, this is an attempted gerrymander. Sorry, I did overstate my objection to those two Bletchley wards being added to the Buckingham seat. You do need to get your facts right though. 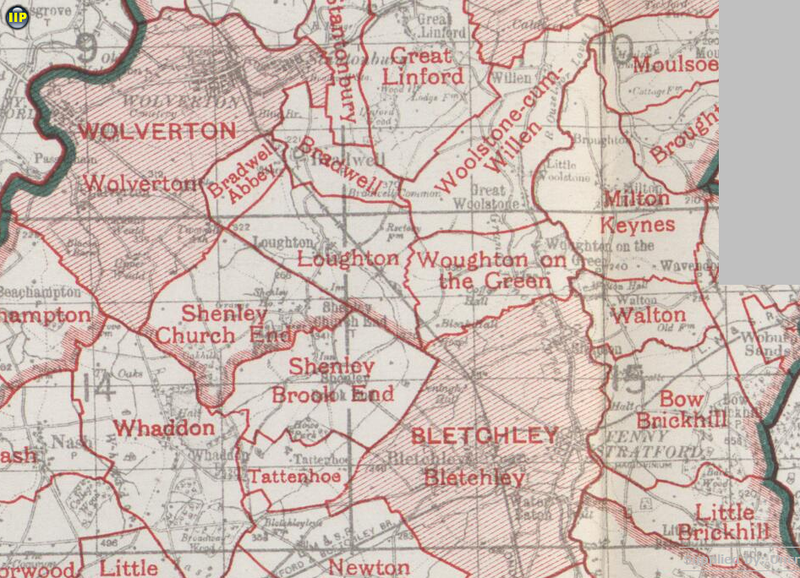 A quick check of the map shows that what are now the Denbigh and Whaddon wards were both part of Bletchley Urban District before it was taken over by the new town. So people have a point if they say that the town is being split by the Commission.